It’s been a frustrating and busy year with no weaving progress. So even the tiny cradle loom piece (pictured in my previous post) brought satisfaction. It started in May, when our Scandinavian Weavers group met at Nancy Ellison’s sheep farm. Nancy has been teaching classes on using the cradle loom, and it seemed like high time I took our my small loom, since my mom painted mine back in 1999. 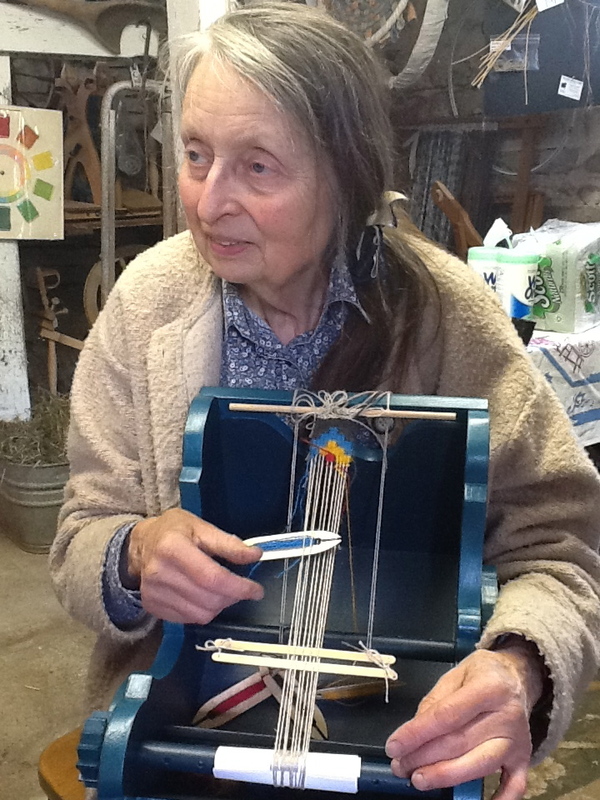 Here’s Nancy with her loom. She has been teaching classes on using the cradle loom, and for her test pieces warped only ten threads. A search of bandstol in the Digitalt Museum, which includes records from 87 Norwegian museums, turns up three photos of box looms similar to the cradle looms we have. 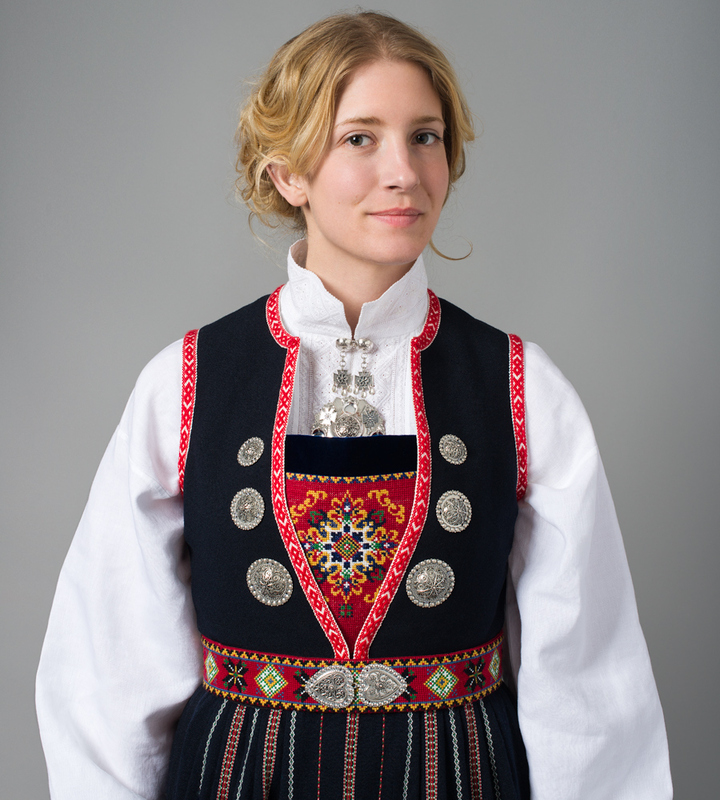 They are used to weave narrow slit tapestry bands, called a smettebånd. Searching that word turns up several more photos of bands. A search of smettebåndvev turns up one more image of a loom. Here we have some bandstol-weaving from Hallingdal, Norway, in 1962. During this week of looking at beautiful Olympic athletes with little clothing, it’s hard to believe the photo of the kerchiefed lady in a digital archive is very enticing. It’s a narrow interest group! What were these bands used for, traditionally?